My philosophy is to involve the patient in the decision-making process and give her all alternative treatments that are available. I give my patients as much time as they need and not rush the appointment. I really appreciate the nurses, office staff and doctor they have been very helpful for the past 20 years I have been a patient. I have been seeing him for years, including major surgery. I hope he never retires. He is a great doctor. Dr Chaterji is really an amazing doctor! He is as kind as he is knowledgeable always learning and growing to serve his patients and community. I have and will continue to refer my friends to him..because of countless positive reason..but mostly his down to earth caring disposition! Dr Chaterji delivered my son 17 years ago which is a story of its own, he was took the time to care for my 98 yr old aunt that was another story of its own. Dr Chaterji will be my life time dr! Dr Chaterji thank you for being you!! I always have a well-informed visit with Dr. Chatterji. He and his staff have a very calming effect on me, and he gives me good advice on what I need to do for my medical issues. Dr. Chatterji is one of the best doctors I have ever had. I would highly recommend him to anyone seeking this type of care. Amazing & kind and he found what's wrong with me. So very happy! Even what previous physician missed. THANK YOU. they always take great care of me all the way around. we can talk about anything with my needs and whats best for me. staff is so awesome there as well too. i wont ever change docs i always make sure they are in my plan cause of the care i receive. I would highly recommend this provider to family friends who have problems in this type of health problem. He is a very good doctor, I've known him for 18 years, and every visit he explains everything very well to me. He is great. I like him and feel comfortable even during exams. Always caring about your health. I was very concerned about a cyst and Dr. Chatterji explained what it was, how it is treated, the possibility that it may return, and if so how it would need to be treated. I appreciate his thoroughness in treating the problem and taking the time necessary to reassure me. Dr. Chatterji is the best! the doctor is great but the follow up by his staff by phone stinks, it I extremely hard to reach anyone by phone and near impossible to get anyone to call you back. I called back X on a Friday, she didn't call back. I called her back Monday and Tuesday before she finally called back on Wednesday. I have had this problem in the past also. Very comfortable and very helpful. The entire staff at this office is amazing. I am so lucky to be a patient of Dr. Chatterji. Overall, this visit was better than some of my recent visits have been. I was seen by the nurses relatively shortly after arriving, and only had to wait until about 15 minutes past my appointment time to see Dr. Chatterji. He also seemed more on top of my medical history and our next steps this time. Excellent attention as much as from the doctor as for their nursing team. I am grateful to Dr Chatterji for helping me with a solution to a long standing condition. staff members need to be more engaged and friendlier. Office hours need to be expanded. Routine yearly exam. Nothing outstanding. He is always kind and courteous. The doctor (Chatterji) was very knowledgeable and thorough in his examination. He was very patient and took time to explain my medical issue, including showing a picture of what was going on inside my body. This was extremely helpful in my understanding. I really like going to Dr. Chatterji for routine female exams. He has always been very personable and professional. A very good doctor! Dr. Chatterji is always professional, kind, caring and an all around great doctor. The staff are just as great! Dr. Chatterji is always personal and professional. I wouldn't trade him for the world. Respectful of everything. Dr. Chatterji has excellent patient care. I recently had surgery, he answered all my questions and addressed any issues I had.Office staff very helpful and efficient. Very nice doctor, but I waited almost 2 months for an appointment. By that time my symptoms were gone. Dr. Chatterji is so pleasant to visit. He has delivered all of my babies and I trust his knowledge. He is a great doctor. Overall, I really like Dr. Chatterji, but my experiences with scheduling appointments have been frustrating. I am often asked to reschedule my appointments 2-3 times, and rarely am seen on time when I arrive for my visits. I understand he is very busy, and I'm willing to be flexible as he provides good care, but it makes the experience much more difficult than it needs to be. Dr. Chatterji is warm, friendly, informative, and helpful, so I am hopeful the scheduling issues can be worked out so I can continue to see him with less stress. Dr. Chatterji is one of the best doctors I have ever had. Dr. Chatterji is very professional, kind & I think he is great. I feel safe under his care. He always makes time for me. Dr. Chatterji has provided care for many years and is a doctor I can trust & count on. Dr. Chatterji is a most amazing physician AND human being. He exemplifies connected compassionate care and I am fortunate to have him care for me!! Spent time with me - interesting conversations with staff and physician. Dr. Chatterji is the best OBGYN in area. Even though he is not in my network I will still see him! He is the best! I found Dr. Chatterji very thorough and I shall be using him when NEC. Dr. Chatterji has been the provider that I see for the past 17 years. He is great! I had a great ultrasound and 2nd OB appointment with this office and doctor. dr chatterji is the best! always satisfied with him! Dr. Chatterji always provides me with the best care. He was an ease about him that makes you feel comfortable. This MD and his staff are always professional and attentive!!!!!!!!!!!!!!!!!! my background is in the medical field, so I have much respect and trust in my provider. I only see doctors that I have much regard for! 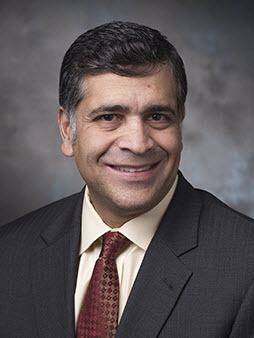 health eNews with Raja Chatterji, M.D.